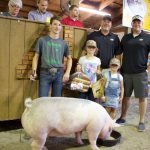 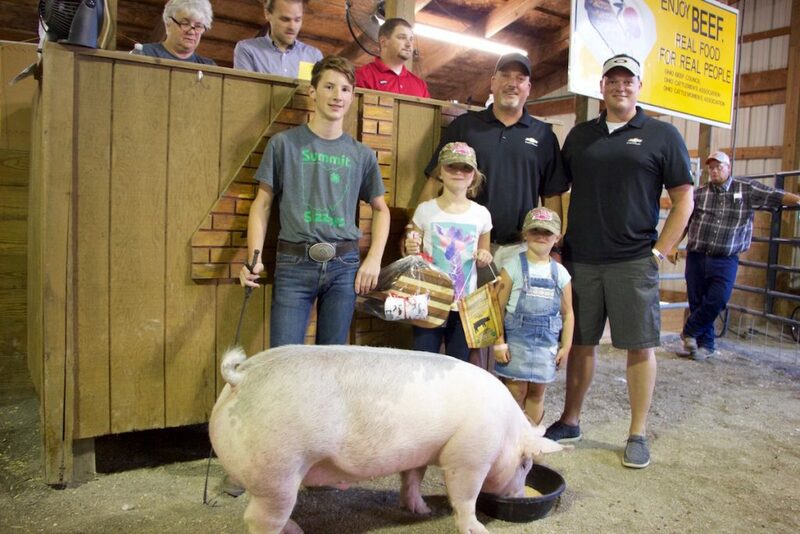 The Summit County Fair reserve champion market hog, weighing 264 pounds, was shown by Luke Coblentz and purchased by Sarchione Chevy and Sarchione Ford, represented by Ron and Zoey Ziler and Wesley and Piper Brechbiel for $9.50 a pound. 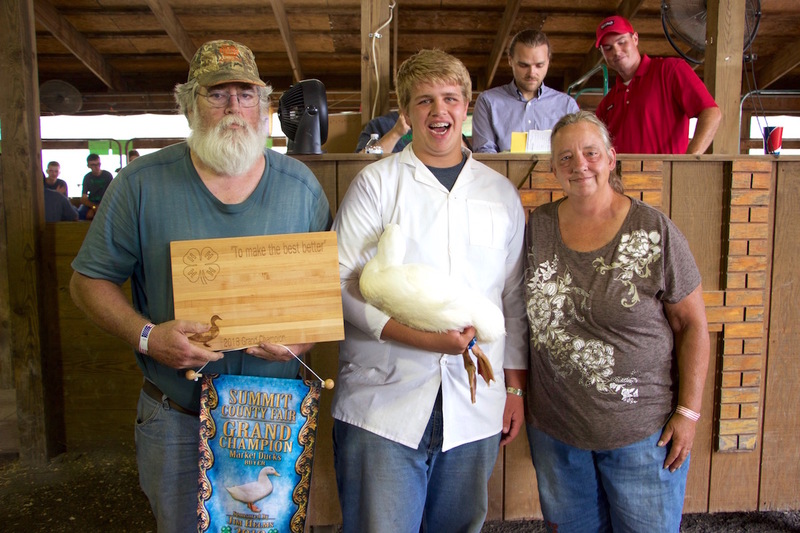 The Summit County Fair grand champion market duck, weighing 23.4 pounds, was shown by Cody Luther and purchased by Paul and Paula Hyde of Hyde’s Automotive for a new record of $925. 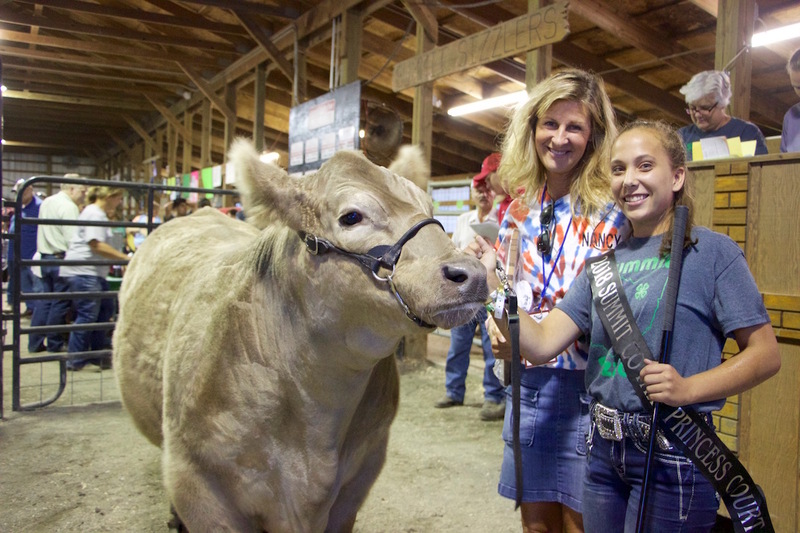 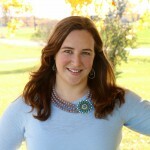 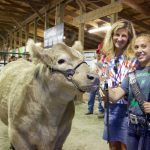 For the third year in a row, Makala Jones exhibited the grand champion market steer at the Summit County Fair, which brought in a record bid of $28 a pound. 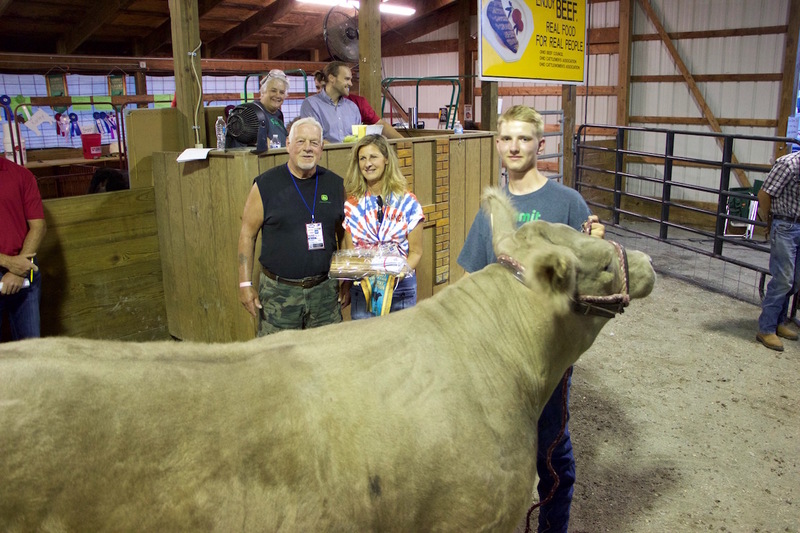 Ron Marhofer Auto Family, represented by Nancy Marhofer, bought the 1,280 pound steer. 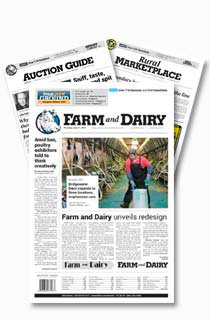 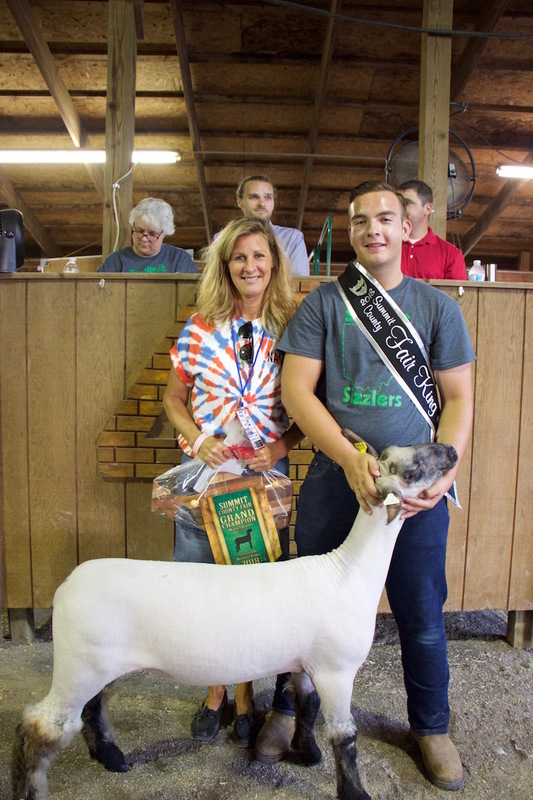 The Summit County Fair grand champion market lamb, weighing 143 pounds, was shown by Stash Apana and purchased by Ron Marhofer Auto Family, represented by Nancy Marhofer, for $8.50 a pound. 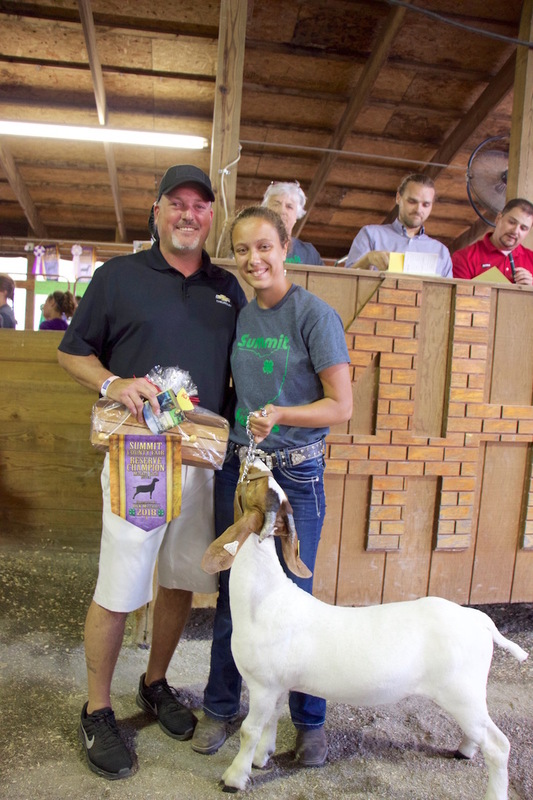 The Summit County Fair reserve champion market goat, weighing 83 pounds, was shown by Abi Jones and purchased by Sarchione Chevrolet, represented by Ron Ziler, for $500. 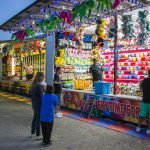 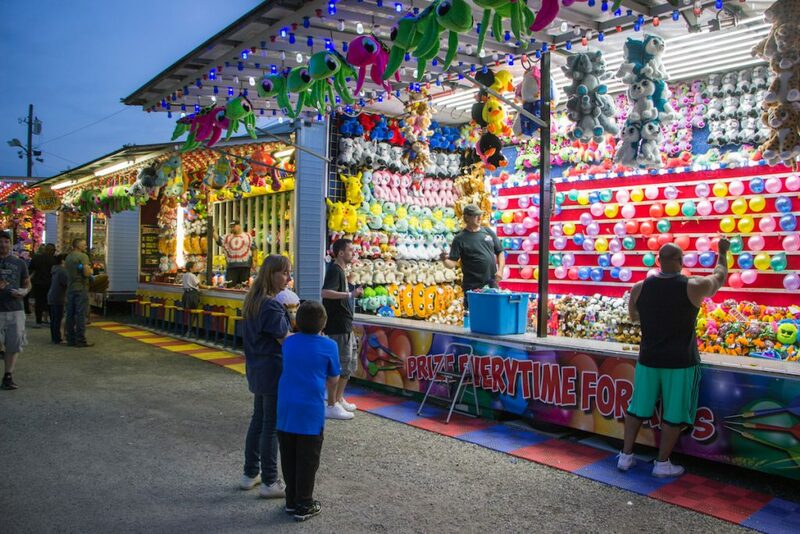 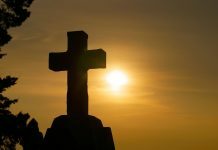 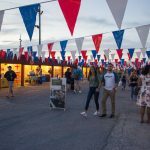 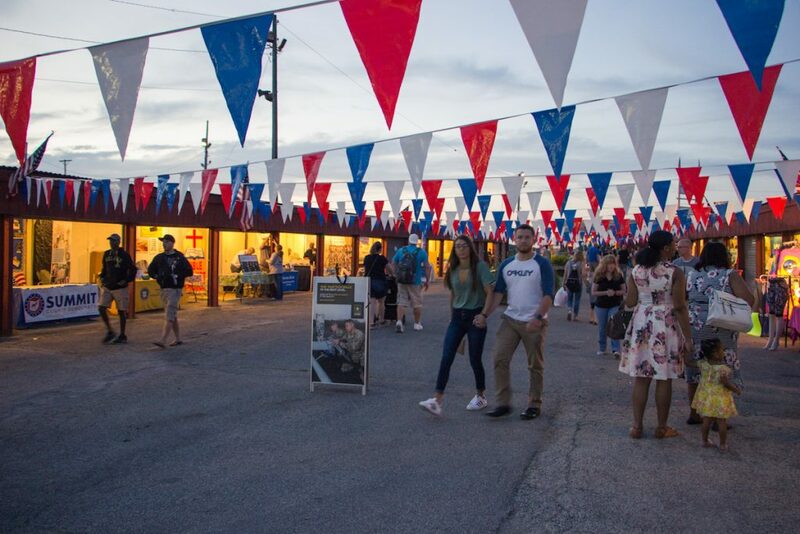 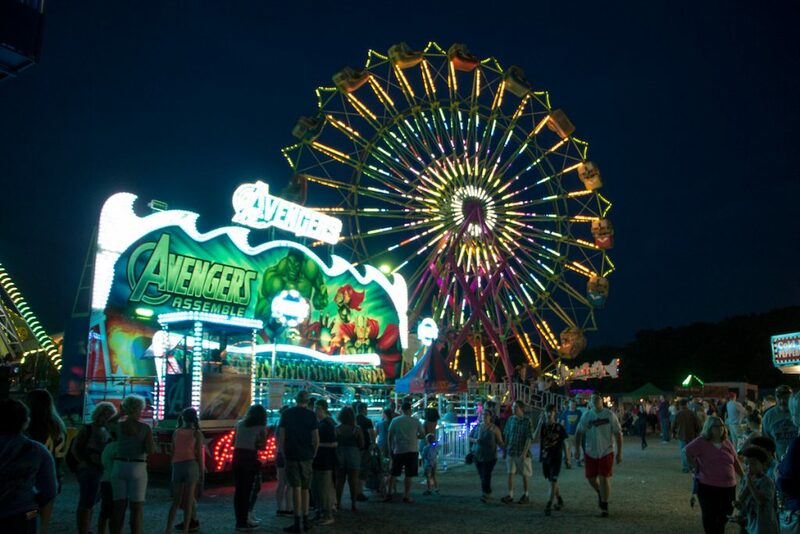 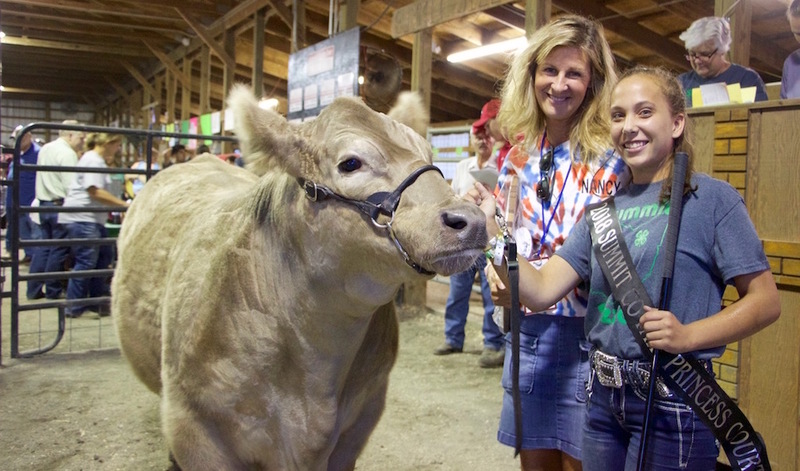 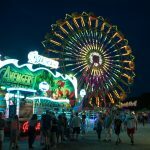 The Summit County Fair was July 24-29 in Tallmadge, Ohio. 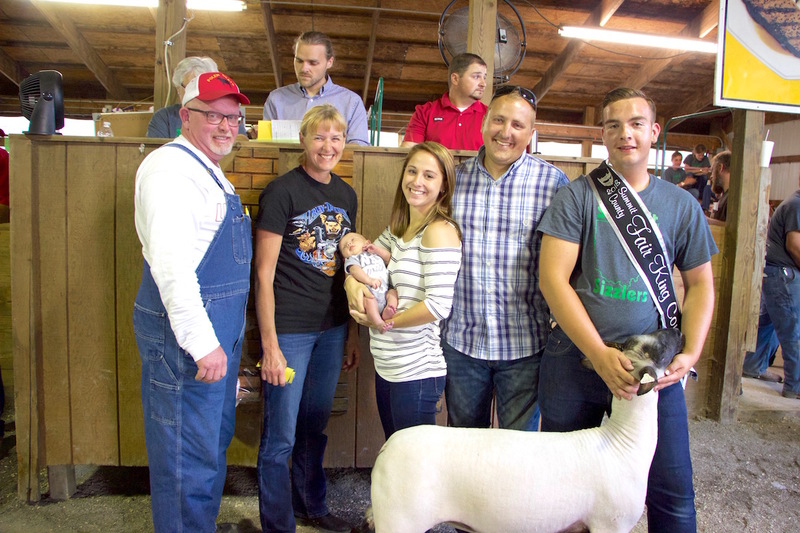 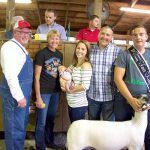 The Summit County Fair reserve champion market lamb, weighing 140 pounds, was shown by Stash Apana and purchased by Brad and Nancy Polen of Polen Meats and Zack, Jessica and Stetson Ranta of Dozer Enterprise for $6 a pound. 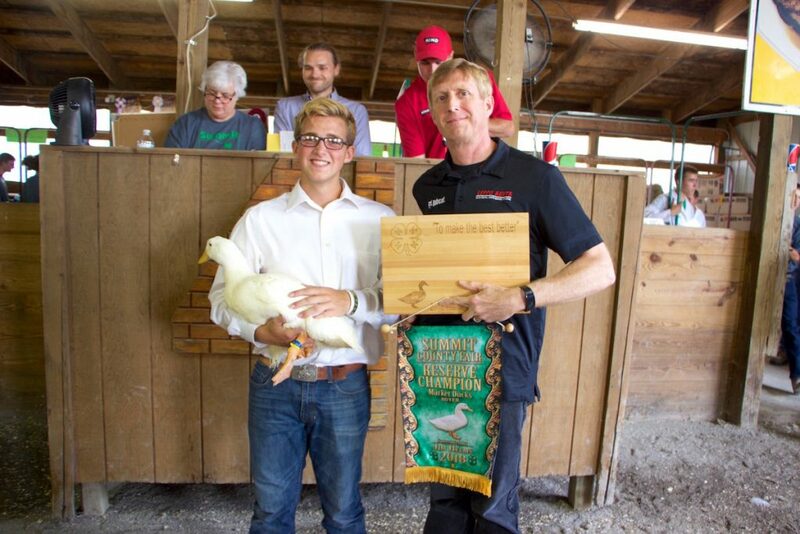 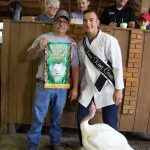 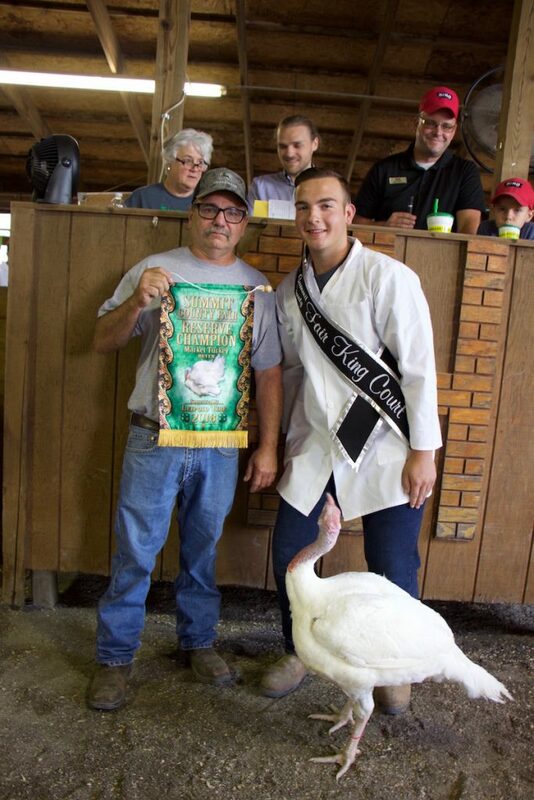 The Summit County Fair reserve champion market duck, weighing 23 pounds, was shown by Dylan Leipold and purchased by Glenn Leppo of Leppo Rents for a new record of $450. 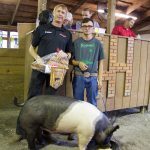 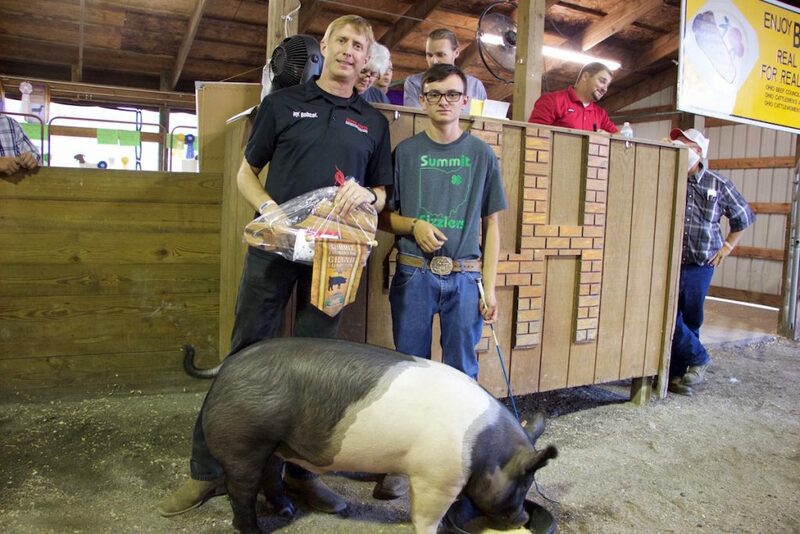 The Summit County Fair grand champion market hog, weighing 291 pounds, was shown by Corey Soulek and purchased by Glenn Leppo of Leppo Rents for $11 a pound. 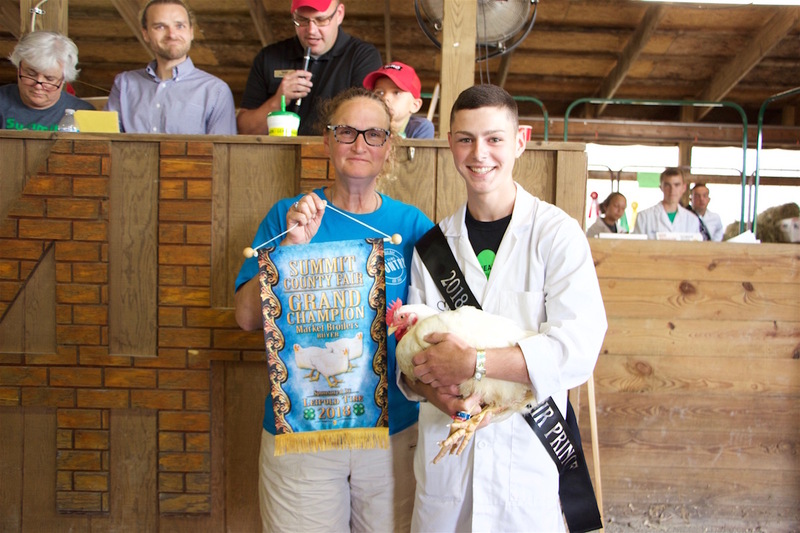 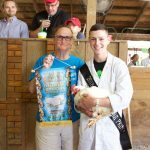 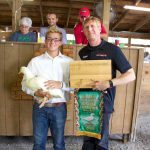 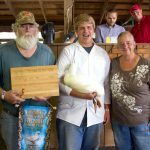 The Summit County Fair grand champion market chicken pen, weighing 25.6 pounds, was shown by Seth Frient and purchased by Jeannie Helms in memory of Jim Helms for a new record of $950. 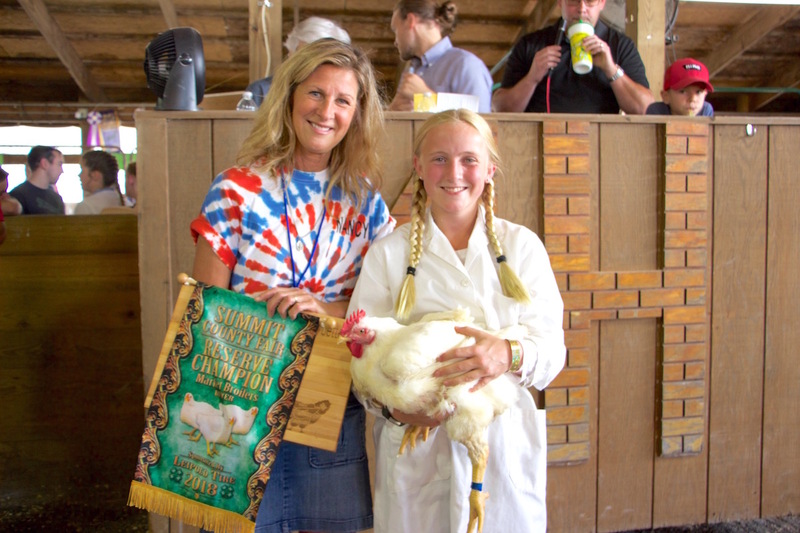 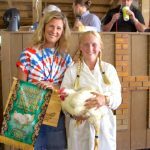 The Summit County Fair reserve champion market chicken pen, weighing 30 pounds, was shown by Kristine Roegner and purchased by Ron Marhofer Auto Family, represented by Nancy Marhofer, for a new record of $750. 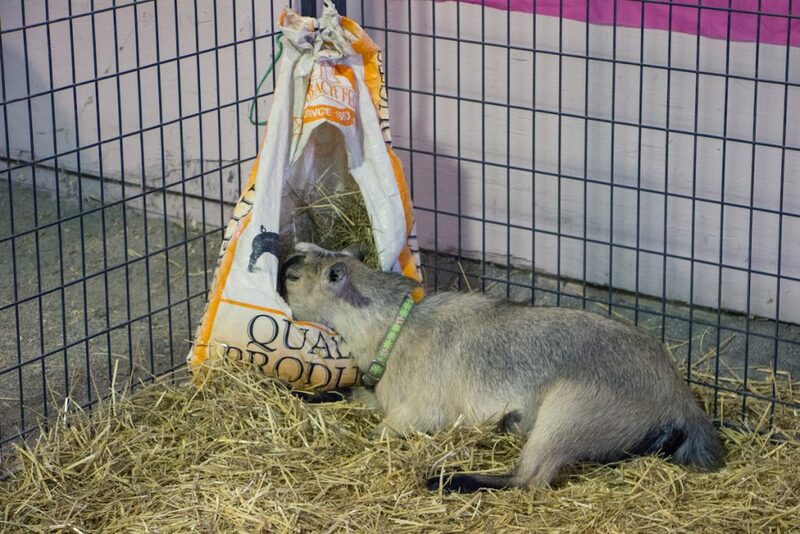 When you've had a bit too much fair food and you just got to take a nap. 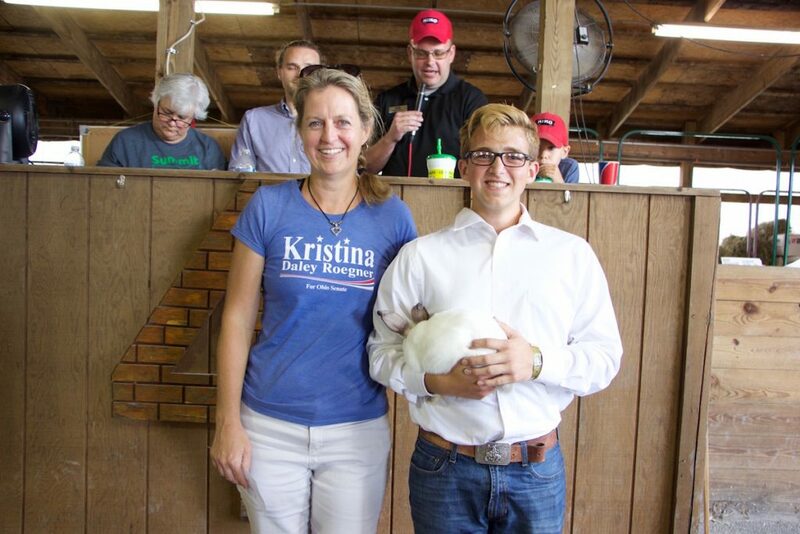 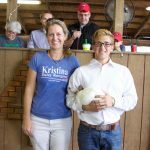 The Summit County Fair reserve champion market rabbit, weighing 13.9 pounds, was shown by Dylan Liepold and purchased by Kristina Roegner for Ohio Senate for $300. 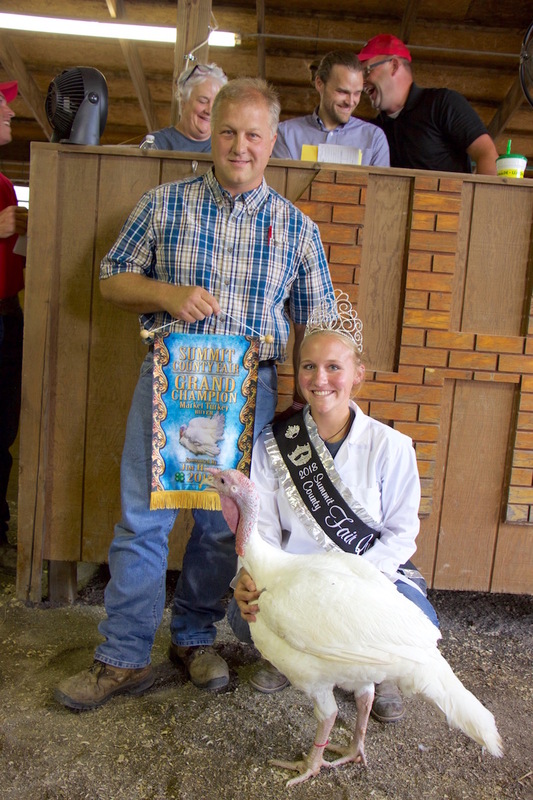 The Summit County Fair grand champion market turkey, weighing 37.6 pounds, was shown by Cassidy Moore and purchased by Horvath Electric, represented Jeff Moore, for a new record of $1,400. 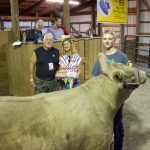 The Summit County Fair reserve champion market steer, weighing 1,285 pounds, was shown by Chase Sedensky and purchased by Ron and Nancy Marhofer of Ron Marhofer Auto Family for a new record of $17 a pound. 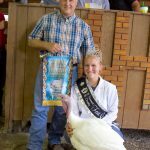 The Summit County Fair reserve champion market turkey, weighing 37 pounds, was shown by Stash Apana and purchased by Emmett Equipment Company, represented Chuck Soulek, for a new record of $950. 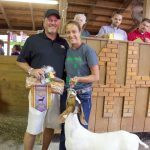 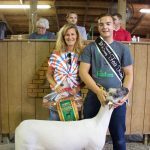 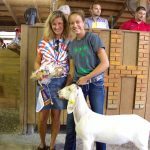 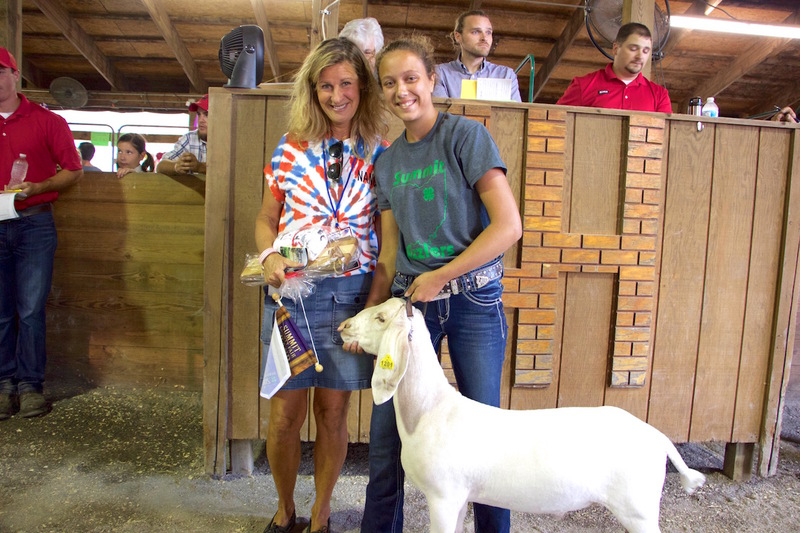 The Summit County Fair grand champion market goat, weighing 91 pounds, was shown by Abi Jones and purchased by Ron Marhofer Auto Family, represented by Nancy Marhofer, for a new record of $1,150. 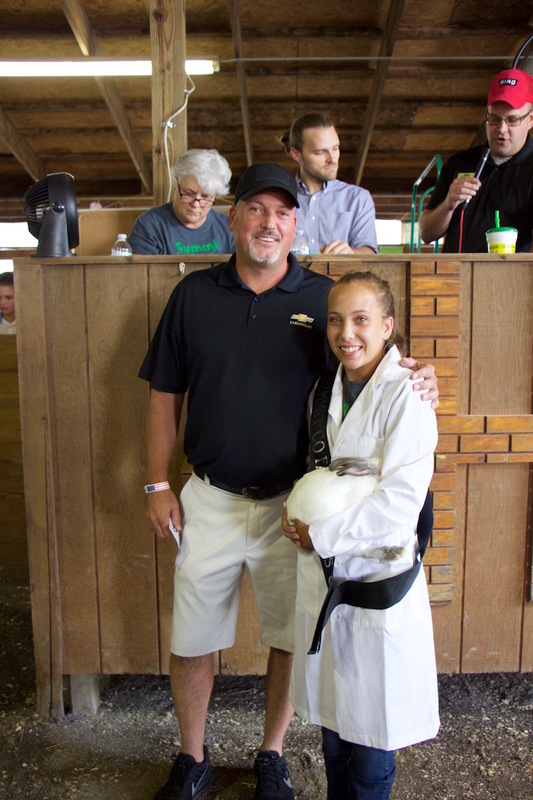 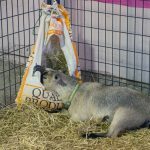 The Summit County Fair grand champion rabbit pen, weighing 13.1 pounds, was shown by Makala Jones and purchased by Sarchione Chevrolet, represented by Ron Ziler, for a new record $450. 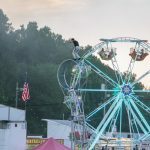 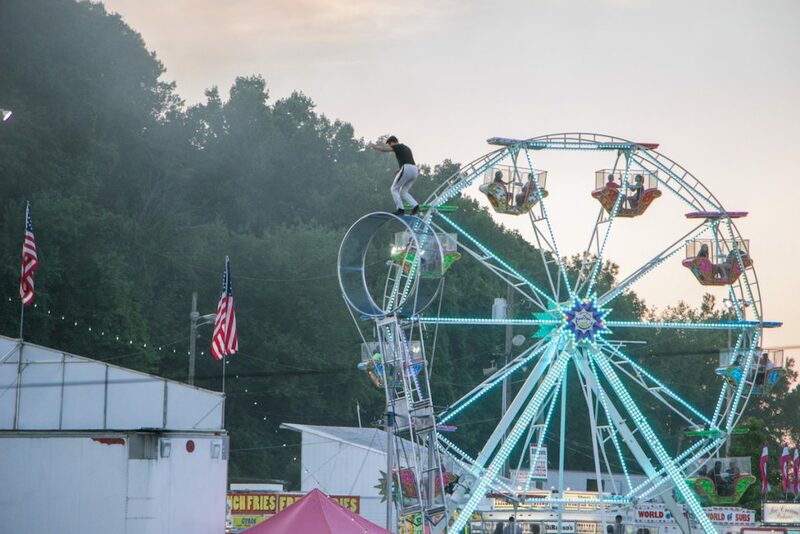 The Super 3 Ring Circus performed at the Summit County Fair July 28. Bid: $8.50/pound Weight: 143 lbs.